Disclosure: I received a pair of 2XU Run Hyoptik Thermal Compression Tights to review as part of being a BibRave Pro. Learn more about becoming a BibRave Pro (ambassador), and check out BibRave.com to review find and write race reviews! 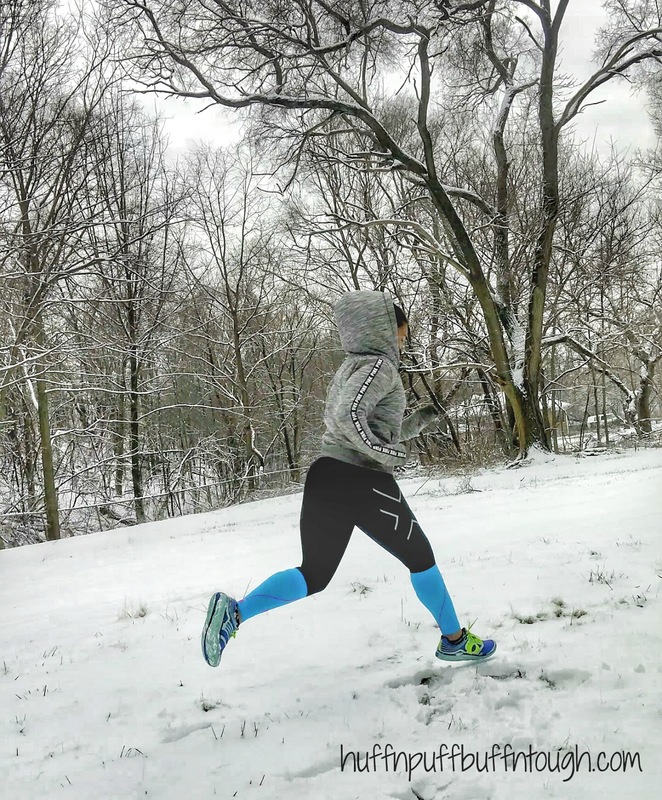 As the colder winter temps have finally been hitting the Chicago area, I have been searching for the perfect cold weather gear to help me stay warm while I train in colder temps. It's not the first time that I have battled the cold weather when it comes to training, but recently I have been wanting to push my body to new heights. Lately there have been temps as low as -15 and I figured that now is as good a time as any to truly brave the frigged icy cold. I don't like to let the weather dictate my training, and I always leap at the chance work hand in hand with mother nature. Cold weather gear can make or break your outdoor training, so it's very important to find out what works for you and what doesn't. 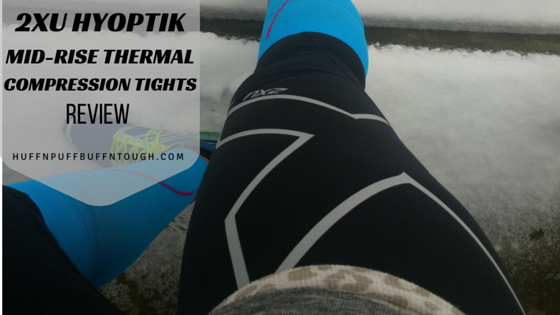 I've been wearing the Hyoptik thermal compression tights during my training lately and am thrilled so far with what I have experienced. I wore these in extreme temps ranging from -3 to -15 degrees, and was amazed with the protection my legs were receiving versus my normal pair of compression bottoms. When the wind blows and I am wearing normal compression bottoms, the wind cuts right through and reaches my skin. When I wore the 2XU thermal tights, the material blocked the wind and I was able to feel more comfortable for a longer period and that allowed me to extend my workout. The reflective logos are also a nice feature on the tights. I think it looks badass! The tights have an expensive price tag, but I feel that they are worth every penny if you get the right size that you need. That being said I do feel that the sizing runs small. Even with following their sizing charts, I felt it was not true to size. I think that the sizing chart needs a few tweaks! I would suggest ordering a size up from the size that you normally wear in compression tights. I am still continuing my search to find budget-friendly, yet effective cold weather gear in the compression bottoms department, but if you can swing it these are definitely a must own and can be worn in extreme weather. It is so cold here lately! Seeing your photos in this post helps with my motivation! Glad they could help! It's been ridiculously cold. Luckily, it's suppose to warm up a bit this weekend!